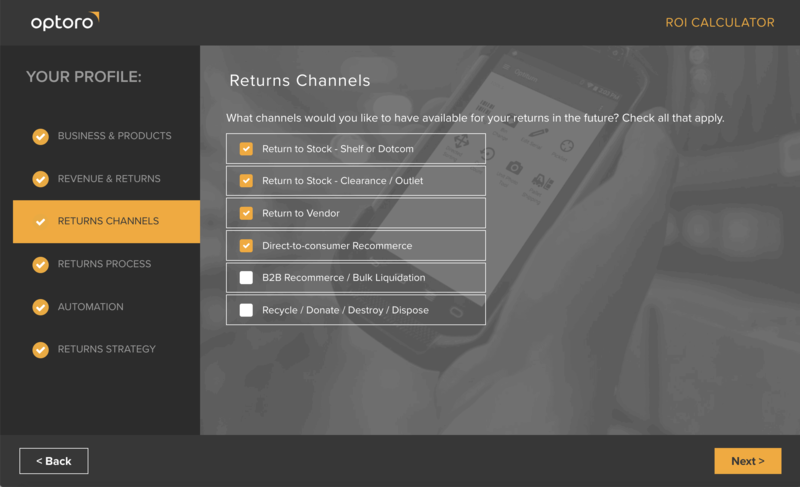 Mukava created a Return on Investment (ROI) calculator for Optoro, a Washington, DC-based reverse logistics company. The purpose of the calculator is to allow prospective clients to see how much they could save by leveraging Optoro’s systems to improve their processes of handling returns of online sales. The system relies on a complex mathematic model that calculates the possible returns based on the size and type of the business, the industry, and other factors. The engine also offers recommendations for the user and complies them into a report as a downloadable PDF.